Daniel O’Connor was born on 13 September 1844 in Tipperary, Ireland, the son of Patrick O’Connor, butcher, and his wife Margaret, née Honan. He married Mary Carroll (d.1899) in 1868. He died on 24 January 1914 at Liverpool, NSW, and was survived by two of his seven children. He was buried in the Catholic section of Waverley Cemetery from St Patrick’s Church, Church Hill. Daniel O’Connor arrived in Sydney with his parents on the Lord Hungerford in 1854. He worked in his father’s butcher shop while attending the Sydney School of Arts and studying classics and English literature at Sheridan Moore’s City College. By 1871 he had opened his own butchering business on Brickfield Hill and had acquired 14 properties. He entered an auctioneering, mining and general agency partnership with John Hurley in 1887. In 1892 he was declared bankrupt, discharged in 1893. He visited Europe and America from 1904 to 1906. O’Connor was commissioned as a Justice of the Peace in 1878, was the Commissioner of Sydney Centennial Celebration and the Melbourne Centennial Exhibition in 1888 and was a Royal Commissioner on Railways in 1897. He was a supporter of the Catholic Association and founding Chairman of the Catholic Truth Society in 1871. He was a Knight of St Gregory. From 1877 to 1891 O’Connor represented West Sydney in the Legislative Assembly. He was appointed the postmaster-general in John Robertson’s 1885 cabinet, and again in Henry Parkes ministry in 1889. He lost his seat in the Legislative Assembly in the June 1891 election, and was subsequently appointed to the Legislative Council, resigning in 1892 because of bankruptcy. He was re-appointed to the Legislative Council in 1895, and resigned in 1898 to contest a seat in the Legislative Assembly. He held the seat of Sydney-Phillip from 1900 to 1904. O’Connor withdrew from the 1904 elections when he was not endorsed as a Liberal candidate. 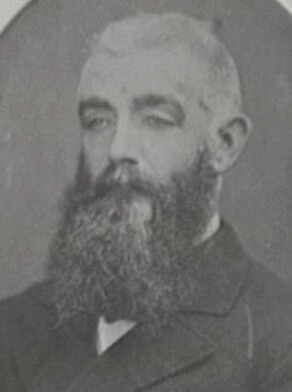 O’Connor represented Phillip Ward on the Sydney City Council from 1 December 1876 to 30 November 1885. Mark Lyons, ‘O’Connor, Daniel (1844–1914)’, Australian Dictionary of Biography, National Centre of Biography, Australian National University, http://adb.anu.edu.au/biography/oconnor-daniel-4314/text6995, accessed 13 December 2012.